How long and deep can the current character of Foreign Direct Investment (FDI) penetrate the social legacy of colonialism and neo-colonialism in Africa? Proclamations of economic growth throughout the continent are being received with much skepticism and consequently prompting the desire among many to address the persistent poverty, inefficiency and growing class divisions. In a recent report issued by the United Nations Conference on Trade and Development (UNCTAD) entitled “Catalyzing Investments for Transformative Growth in Africa,” it reveals that the rate of FDI in Africa is significantly lower than what exists in other so-called developing regions. These figures indicate that the reliance on western capital to fuel growth and development absent of a program for national reconstruction, will not work. These statistics could represent a lag in overcoming the development challenges which have been imposed by colonialism and neo-colonialism. Nonetheless, the consistently expanding oil and natural gas industry in various regions of Africa should translate into higher levels of investment as well as growth rates being discussed in the financial media. Other factors may also include unresolved and burgeoning civil conflicts and inter-state border disputes. The Boko Haram insurgency in the northeast of Nigeria has led to the intervention of United States intelligence and military interests. Since late 2010, the North African nations of Tunisia and Egypt have not stabilized economically since the uprisings in those states. The Horn of Africa country of Somalia and the eastern regional state of Kenya are both embroiled and inter-connected in a counter-insurgency campaign with the high level interventions of the Central Intelligence Agency (CIA), the Pentagon and the European Union (EU). All of these factors influence whether or not Africa will achieve genuine development or merely economic growth that does not fundamentally alter the international division of economic power and labor. If Africa cannot effectively stabilize its own internal situation then no one can honestly say that actual progress is being made which is sustainable. Events in several African states clearly make the case for re-examining the notion of western investment-led growth. From Southern Africa to the West African state of Ghana and the North African country of Egypt, socio-economic problems are escalating requiring a new approach to the organization of society and its economic structures. On July 1 the National Union of Metalworkers of South Africa (NUMSA) embarked upon a strike which is demanding a 15 percent across the board pay hike and a R1000 housing allowance. Representatives of the National Employers’ Association of South Africa (NEASA) said that talks with NUMSA leaders on July 4 failed to reach an agreement on their economic demands. The industrial bosses affected by the NUMSA strike and other labor unrest in South Africa can only respond to workers’ demands through threats of mass lay-offs and capital flight. The ruling African National Congress (ANC) fresh from another majority victory in the national elections of May 7, does not have control of the major industries inside the country and therefore cannot impose a settlement that would raise wages and improve working conditions for employees. NUMSA pointed out that the metal industry has shed 250,000 jobs in the last five years in South Africa. The bosses utilize this fact, which is a direct result of the world capitalist crisis of overproduction internationally, to rationalize the wiping out tens of millions of jobs throughout the globe. The West African state of Ghana has been championed over the last several years for its phenomenal economic growth. With the discovery oil and the country’s vast deposits of gold and other strategic minerals, foreign investment has poured into the state which was a pioneer in the African liberation movements during the post-World War II period. Ghana’s first prime minister and president Dr. Kwame Nkrumah led the former British colony in its positive action campaign of the early 1950s creating a coalition government resulting in full-independence in 1957. In 1960 Ghana became a republic. However, the Nkrumaist program of Pan-Africanism and socialist development was overthrown at the aegis of the CIA and international finance capital in early 1966. Although the ruling National Democratic Congress (NDC) under President John Mahama is considered more progressive than the main conservative opposition forces of the National Patriotic Party (NPP), both political formations remain trapped in the dominant world system of capitalism which places the interests of corporations and banks far ahead of those of workers, farmers and youth. At present there are burgeoning economic issues impacting Ghana including high unemployment, fuel shortages and a lack of confidence in the current political dispensation. A so-called Occupy Flagstaff House (presidential headquarters) demonstration was held in conjunction with Republic Day on July 1 which brought out hundreds of disgruntled mainly middle class Ghanaians. Officially the organizing group known as the Concerned Ghanaians for Responsible Governance (CGRG) was not connected with the opposition NPP, despite the claims made by supporters of the NDC government. Coinciding with the CGRG demonstrations outside Flagstaff House were complaints regarding huge delays in fuel purchases for motorists. In a country which is an emerging oil-producing state such bottlenecks reveal serious issues within the infrastructural development of the country. Other problems are surfacing in the education sector where the Ghana National Association of Teachers (GNAT) has warned the Mahama government to keep its hands off their pension fund. The group opposes the restructuring of the pension system through the appointment of a so-called “fund manager”. These problems with the sustainability of public pensions are reminiscent of the crisis facing Western European and U.S. systems where major struggles are emerging over the purported under funding of these schemes. Nonetheless, the capitalist governments throughout the world promote the rising profitability of banks and other corporations and this is usually manifested in the worsening conditions for workers, farmers and youth. With the conclusion of a controversial election in Egypt during June, the military leader turned head-of-state Abdel Fattah al-Sisi has assumed office amid a monumental boycott by opposition forces at the polls. Immediately Al-Sisi was invited to address the recently-held African Union 23rd Summit in Malabo, Equatorial Guinea despite the deaths and imprisonment of thousands of Muslim Brotherhood supporters and other opposition forces since July 3, 2013 when the army formally retook control of the state. Those who hailed the seizure of power by Gen. Al-Sisi last year claimed that the military intervention amid the June 30 protest actions constituted a “second revolution.” However this second revolution comes at an enormous price to the Egyptian masses. One aspect of this new political arrangement is the announcement by Al-Sisi on July 4 that the price of fuel would be raised by 78 percent. This is the direct result of the reduction in fuel subsidies which constitutes 25 percent of the national budget. Al-Sisi asked Egyptians to sacrifice in light of his austerity measures that are in line with the international financial system which is imposing higher prices and lower salaries on workers throughout the world. Prices for electricity usage also rose at the beginning of the month. These events in the three above-mentioned African states provide glaring examples of the ongoing economic crises taking place on the continent. With Africa firmly integrated into the international financial order of labor and mineral exploitation at the expense of the much-need improvements in the salaries and living conditions of the majority of people, there is almost no potential within the existing political arrangements for substantial advancements in the socio-economic status of the workers, farmers and youth. The rising expectations of working people related to the FDI-led policy orientations will undoubtedly prompt social unrest through strikes, mass demonstrations and other forms of resistance. If the notions of phenomenal growth within the neo-colonial African states cannot produce hope for the people then the much coveted political stability will remain unrealized. Considering the tremendous reservoir of oil, natural gas and strategic minerals in Africa, there is no reason for the continent to remain trapped in the cycle of economic dependency on the imperialist states. 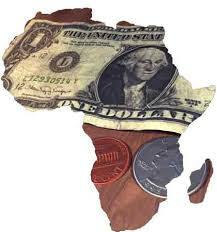 Resources which belong to Africa must be effectively utilized for the betterment of the people. This much-needed shift in economic and political policy formulation and implementation must take place within a continental socialist framework. If there is no serious effort to foster and mandate the equitable distribution of wealth and power, then the AU member-states will surely fail in their mission to accelerate the living standards on the continent. The reported discussions about an African Monetary Zone and military Stand by-force cannot be implemented until the extraction, trade and distribution of resources of the continent can serve to benefit the still-impoverished masses. As long as African leaders look to the West for direction and fair treatment the existing class divisions will accelerate precipitously and the unity of the continent under socialism remains a far distant objective.